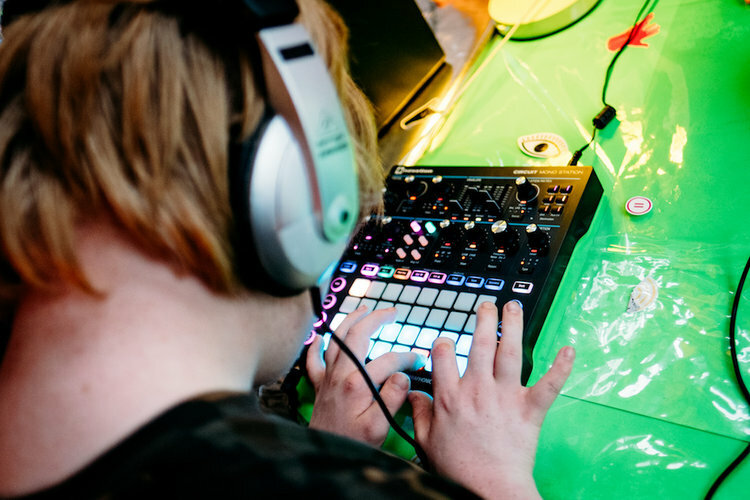 A SoundLab Play Space is where people can come together to try out new and innovative music technology, meet new people and have fun making music. At each Play Space we welcome different music technology companies who share their new equipment and software with everyone. Recently we have invited ROLI, AC Sabre, Hackoustic, Studio Amplify, Vochlea, Ampify, Novation and more! "It’s always fascinating to watch people engaging with our products for the first time. Initial trepidation or excitement, followed by careful exploration or gung-ho button mashing. Then, after a few minutes, the click. A delightful moment of enlightenment followed by smiles and dancing… then the cycle of exploration and enjoyment repeats. The great thing about SoundLab was the revelation that this is universal. If you have a learning disability, the exploration phase might be longer but behind that, people’s musical journeys are similar. 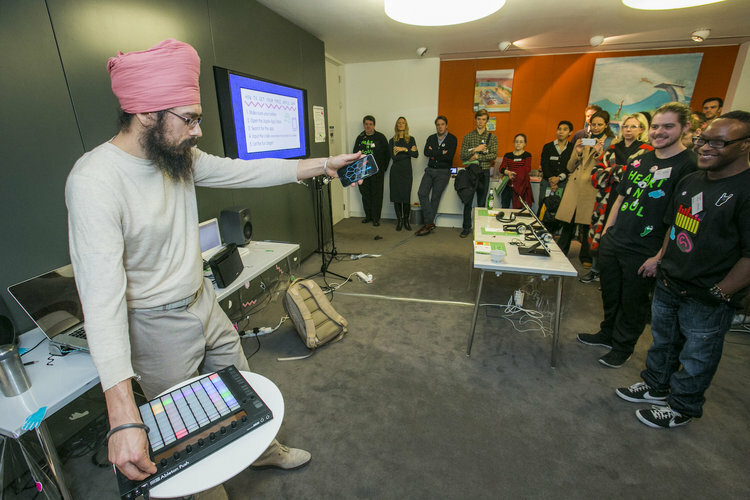 I love the philosophy of SoundLab – that improving accessibility to musical tools benefits everyone.  The challenges that these artists face are the same as those we all face - just amplified." The events take place 4 times a year in different places. In the past we have held Play Spaces at The Albany Theatre, The New Deptford Market Yard, Goldsmiths University and Nesta. If you are a music tech company who would like to get involved in our Play Space events or if you are interested in coming along to the event please get in touch.